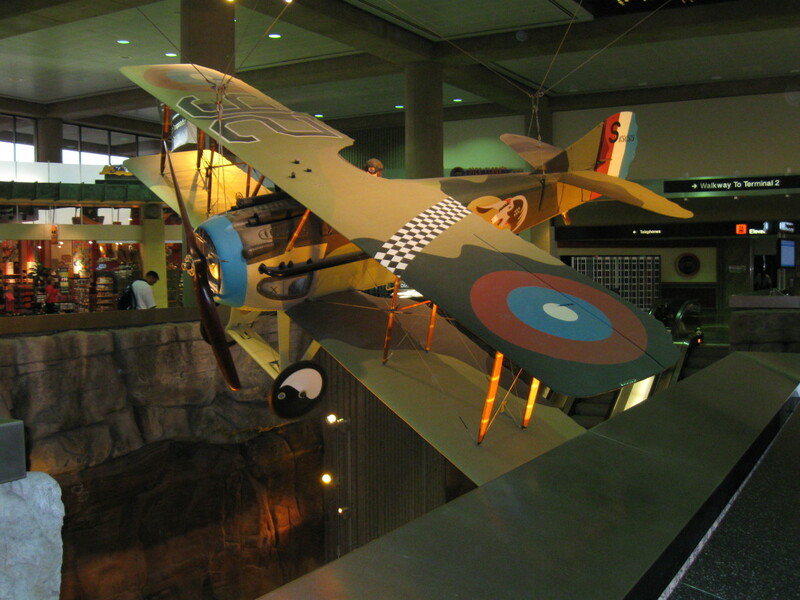 As travelers, arriving at or departing from Sky Harbor International Airport in Phoenix, Arizona, make their way through the huge terminal they may notice a World War I fighter plane hanging from the ceiling. This is not a model or a replica, but a nearly original French SPAD XIII World War I fighter aircraft. While 8,472 SPAD aircraft had been built and deployed during that war, less than a half dozen original SPAD aircraft exist today. TheSPAD XIII in Sky Harbor Airport is not one of the less than half dozen originalSPADs, but is a reconstruction using salvaged parts from three damagedSPADs along with some new parts for what was not available from the three damaged ones. The result isSPAD XIII that consits of 80% original parts. For those who take a moment to pause and read the plaques on the stands below the plane they will learn that not only is the plane a World War I French built SPAD XIII but that its paint and markings are the same as the SPAD XIII flown by the American Air Ace, Frank Luke Jr.
Frank Luke Jr. was born in Phoenix, Arizona on May 19, 1897. His parents, Frank and Otillia Luke were German immigrants who had settled in Phoenix in 1873. Baptized Francis Joseph Anthony Luke in St. Mary’s Parish in Phoenix shortly after birth, Frank Luke grew up in Phoenix and graduated from Phoenix Union High School in that city. Accounts of his youth describe Frank Luke as a boy who excelled in sports, including bare knuckle boxing matches in his late teens. Records indicate that he worked in the mines and this was probably after graduating from high school as he joined the Army about four months after turning twenty which would have meant that he had a couple of years of adult work experience following graduation from high school. Frank Luke was probably working in one of the mines surrounding Tucson, Arizona as he enlisted in the Army in Tucson on September 25, 1917. This was the same month that another Arizonan who also died and became a hero in World War I, Mathew Juan, left Phoenix to join the Ringling Brothers Circus before joining the Army while in Texas a few months later in November 1917. Once in the Army Luke was encouraged by Army Officers to become an aviator. At that time airplanes were a relatively new implement of war. After all, the first powered flight of an airplane, which was done by the American Orville Wright on December 17, 1903 and lasted a total of 12 seconds, had occurred a mere 11 years before the start of World War I in Europe in 1914. The United States, which had not declared war until April of 1917, had had fourteen years between the first flight and entry into the war, but this was still a very new technology. At the start of World War I, American military aviation capability was relegated to a section of the Army Signal Corps. In May of 1918, a little over a year after declaring War and as the United States was beginning to play an active role in the war, the aviation section of the Army Signal Corps was reorganized as the Air Service, United States Army or, as it was more commonly referred to, the United States Army Air Service. The creation of the United States Army Air Service elevated American military aviation to a separate organization, with its own chain of command, within the U.S. Army. With aviation a growing force within the Army, it is only natural that aviation leaders within the Army would seek out and encourage young men seeking glory to join the air wing. Frank Luke accepted the challenge and, following initial training in Austin, Texas, was transferred to the San Diego-Signal Corps Aviation School in California. In November of 1917 he completed his first solo flight in San Diego, graduated and was commissioned a Second Lieutenant some time after that. Based upon online summaries of his letters, which are housed in the archive section of the Arizona State Library in Phoenix, from this period Frank seemed to enjoy his time in San Diego as he talks about going to dances, completing his first solo flight and enjoying a visit from his father in December. In mid-February of 1918 he left San Diego by train on the California Limited heading for additional training in New Jersey. The New Jersey training was short as he seems to have left California in mid-February and before the end of March 1918 he boarded the USS Leviathan en-route to England for additional training. 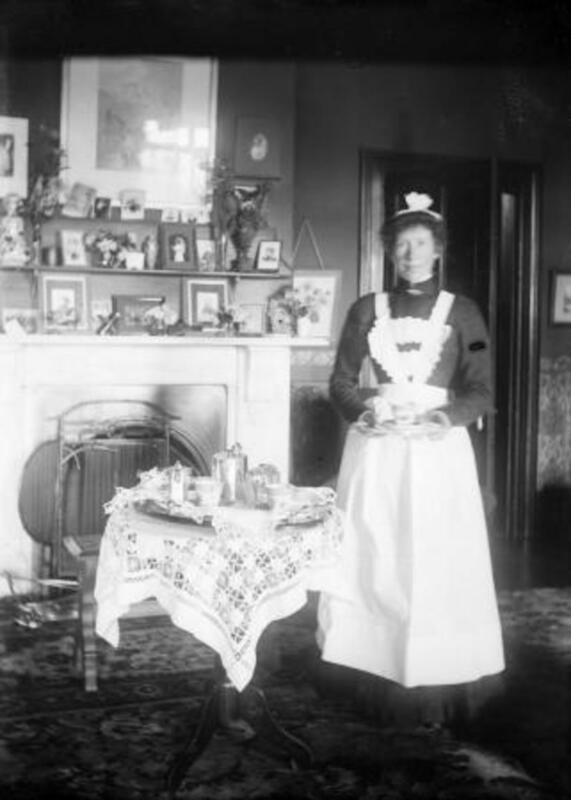 Before leaving the United States he was able to visit his Uncle Joe and Aunt Mary in New York City. The short summaries online of his letters give the impression that he was enjoying military life and getting along well without displaying any of the daredevil and insubordinate behavior that characterized his later brief life flying aerial combat missions. Based upon the dates on the letter summaries, his stay in England was short as he was in France before the end of March 1918. As with his training in the United States, there is no indication in the brief summaries of his letters to indicate that he was overly anxious to get into combat or chaffing under military discipline during the months spent in advanced combat training at the US Aviation Instruction Center at Issoudun, France. While airplanes were not used in warfare until World War I, airplanes were not the first manned object to fly above battlefields. 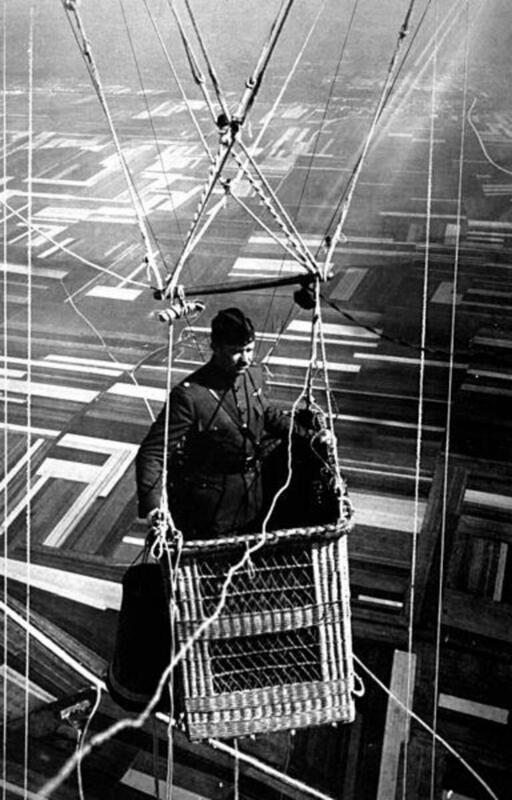 Throughout the Nineteenth Century balloons manned by soldiers had been used to look across the battlefield to both observe enemy positions from above as well as to direct artillery fire toward the enemy. The introduction of airplanes increased opportunities for information gathering along the front. In fact, the first use of airplanes in battle was for aerial reconnaissance. However, it wasn’t long before military planners discovered that airplanes were also good for dropping small bombs on enemy positions. This was followed by using airplanes to attack aerial balloons and then for attacking each other in aerial combat as they were increasingly used to defend both bombers and balloons from attack by fighter planes from the other side. Soldiers in the trenches were extremely concerned about both enemy aircraft and balloons fearing both for their perceived ability to direct artillery fire on both the trenches they were in as well as against reinforcements coming up from the rear. As mentioned above, observation balloons were a logical target for fighter planes. While the large, stationary balloons which were held in place above the battlefield by a tether, made for an easy and vulnerable target, attacking them was more dangerous than engaging in aerial dog fights with enemy aircraft. The German balloons were heavily defended with anti-aircraft guns and machine guns as well as fighter planes. While the balloons floated on their tethers high above the battlefield, they were much lower than the 12,000 to 14,000 foot range of the German anti-aircraft guns which meant that attacking planes had to fly through a hail of anti-aircraft rounds that included burning phosphorus rounds. Given the low altitude that the attacking planes had to fly at in order to attack the balloons they were also exposed to machine gun fire and small arms fire from the ground as well as possible attack from the air by German fighters assigned to defend the balloons. 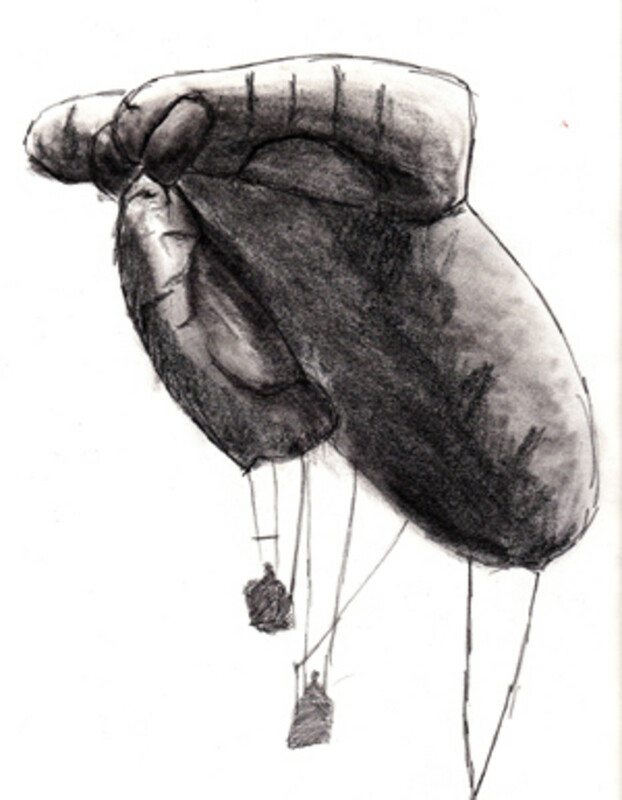 While the balloons, which consisted of fabric filled with highly flammable hydrogen gas, were vulnerable with many being destroyed by both sides, it often required more than one hit to bring them down and this meant that attacking aircraft had to fly through the defending inferno more than once to make their kill. The SPAD was an excellent aircraft, swift and very maneuverable, it was basically a wood frame covered with fabric. As such it could be easily damaged by regular bullets and hits by larger anti-aircraft shells, especially burning phosphorus ones, were usually lethal. Because attacking balloons, or balloon busting as it was called, was so difficult and dangerous, shooting down a balloon counted as a kill for Air Ace status the same as shooting down an enemy aircraft. On July 25, 1918 Frank Luke and three others arrived by train in Saints, France, a small French town at the front near Chateau-Thierry. At that time Saints was headquarters for the 27th Aero Squadron of the 1st Pursuit Group of the U.S. Army Air Service in France. Luke and the three pilots accompanying him had been transferred from flying non-combat missions in the rear to aerial combat duty at the front. While the short online summaries of Frank Luke’s letters to his family from this period make him sound like an average young officer stationed overseas for the first time, other accounts give a different picture of him. John T. Correll, in an article in the August 2009 issue of Air Force Magazine, describes him as being so obsessed with achieving fame and glory that he alienated all but two of the members of his new unit. Fortunately, one of the ones he didn’t alienate was Major Harold E. Hartney, the easy going, Canadian born commander of the the 27th Aero Squadron. The other was his roommate, Lieutenant Joseph Fritz Wehner. Enthusiasm is one thing and is necessary for success in challenging and difficult situations. However, there is a difference between enthusiasm and bragging as bragging, especially bragging by an untested rookie, not only annoys people but is an insult to those in the unit who have been under fire. Excessive bragging by an untested rookie can also be a way to mask cowardice, and the last thing a combat aviator, or anyone who works in a dangerous situation, is to find themselves partnered in a dangerous situation with someone who turns and runs away in the midst of battle. In a way, Luke’s bragging and ambition was not entirely out of order as he was an excellent pilot and, in the space of a few months of training had achieved a record to back it up. Right from the start, he had not only been the first in his cadet class at the School of Military Aeronautics in Texas to solo but had also completed the program in seven weeks rather than the standard nine weeks. His stellar record continued during his advanced fighter training at Issoudun in France where he graduated first in his class in flying and second in gunnery. Despite this record, during his first few weeks in the 27th Aero Squadron Luke was surrounded by hardened combat veterans while he had yet to face an enemy in the air. 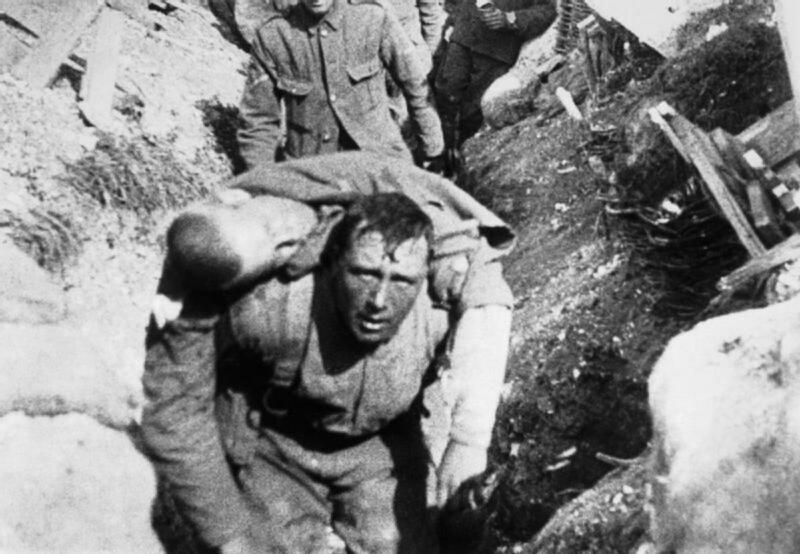 War is not continuous combat. Instead, in the words of my Father, it is periods, often long, of boring routine interrupted by short bursts of violent combat. The fact that Frank Luke was untested by combat during his first weeks with the 27th Aero Squadron, was not due to his not flying. He was flying patrols regularly but these patrols, which were in the war zone, didn’t encounter any enemy to engage. In early August of 1918 he was assigned to a formation of fighters ordered to protect two unarmed Salmson aircraft on a reconnaissance mission. Enemy fighters were spotted and Luke abandoned the formation and went after the Germans alone despite the fact that they had apparently made no attempt to attack the formation. Combat is usually a team effort and sticking with the team and their mission is usually the best way for all to survive and live to fight another day. Luke’s actions put the other members of the formation at risk. Luke was able to get away with this serious breach of military discipline by convincing his sympathetic commander, Major Hartney, that he had left the formation due to engine trouble. On August 16th he apparently broke away and went on his own again, this time engaging the enemy shooting down a German airplane. His maverick action resulted in his losing credit for his kill - downing enemy aircraft only counted, as far as credit for Flying Ace status, if the kill was confirmed by someone else. By acting alone, Luke not only put his own life in danger but he also didn’t get credit for his kill. These actions, combined with his constant boasting earned him the nickname as the Arizona Boaster. However, in just a few short weeks the demeaningBoaster part of that nickname would be replaced with the more admirable termArizona Balloon Buster as Luke’s real accomplishments soon far exceeded his boasting and he became, for a time, America’s leading Flying Ace. As mentioned above, the sight of German observation balloons along the front instilled fear in the hearts of soldiers in the trenches. As a result, in late August 1918, Major Hartney’s group was ordered to destroy the balloons. The plan was for each squadron to assign two of their pilots to undertake the task of destroying balloons. The standard practice for attacking balloons was to use two planes with one attacking the balloon and the other flying protective cover. Frank Luke and his roommate Lieutenant Wehner were chosen from their squadron for this assignment. Whether Luke lobbied for this assignment or not he, like an entrepreneur exploiting a niche, saw it as his opportunity to achieve the fame he sought. Luke’s first chance came on September 12th when, flying alone, he spotted an observation balloon which he promptly attacked and destroyed. With no one else flying with him to witness his kill and, not wanting to be denied credit as he had been when he shot down a German plane a few weeks earlier, Luke flew directly to a nearby American observation balloon site. Landing his plane at the site, he obtained written statements from two officers who had witnessed his kill. With evidence in hand he was on his way to fame. He didn’t waste any time as two days later, on September 14th, he followed up his first kill by destroying two more balloons. The next day, September 15th, he destroyed three more balloons bringing his total to six or one more than needed to qualify as a Flying Ace. However, Ace status was but a stepping stone for Luke as he was seeking real fame. On September 18th he destroyed two balloons after which he and Wehner immediately found themselves set upon by some German Fokker D. VII fighters. Luke and Wehner were separated during the fight in which Luke downed two of the German fighters. Unfortunately, Lt. Wehner was hit and lost his life in the flight. Returning to base alone, Luke spotted and shot down a German Halberstadt observation plane. While destroying two balloons and three aircraft, two of them fighters, on one mission was impressive, what made it more impressive was the fact that Luke had downed all five within a mere ten minutes. With Lt. Whener gone, Frank Luke continued his attacks alone. However, a new problem arose three days later when, on September 21st, Luke’s friend and protector, Major Hartley, was promoted to commander of the 1st Pursuit Group, of which the 27th Squadron was a part, and a new, commander, 1st Lt. Alfred Grant was given command of the 27th Squadron. Lt. Grant was a strict, by-the-book commander who had no use for Luke’s freewheeling ways. The two clashed immediately. Major Hartley tried to calm the situation by issuing orders putting Luke on a 5 day leave away from the unit. However, problems resumed when Luke returned on September 25th and immediately resumed his old ways of going it alone and ignoring military discipline. On September 28th he destroyed two more balloons, his 14th and 15th, and then landed at a French aerodrome and spent the night there before returning to his base the next day claiming that engine trouble had prevented him from returning to the squadron day before. Grant didn’t buy the engine trouble excuse and, in his view, even if the engine trouble excuse was true Luke had still gone off hunting on his own without so much as filing a flight plan let alone clearing his venture beforehand with his commander. In effect, 2nd Lt. Frank Luke Jr. was acting as a one-man air force fighting his own war against Germany rather than being a part of the Armed Forces of the United States. In the space of 17 days (September 12 - 28) 2nd Lt. Frank Luke Jr had become America’s leading Fighter Ace and enjoyed a hero’s reputation among the troops in the trenches and with the newspaper reading public back home. Had his reckless disregard for military discipline and procedures not been quickly backed up with his amazing results he more than likely would have been hauled before a court-martial and, at a minimum, been removed from the Air Services. Following his angry confrontation with Luke upon Luke’s return to the unit on September 29th, Lt. Grant immediately set about laying the groundwork for a court-martial by ordering Luke to stay on the ground and directing that written orders to that effect be drawn up. 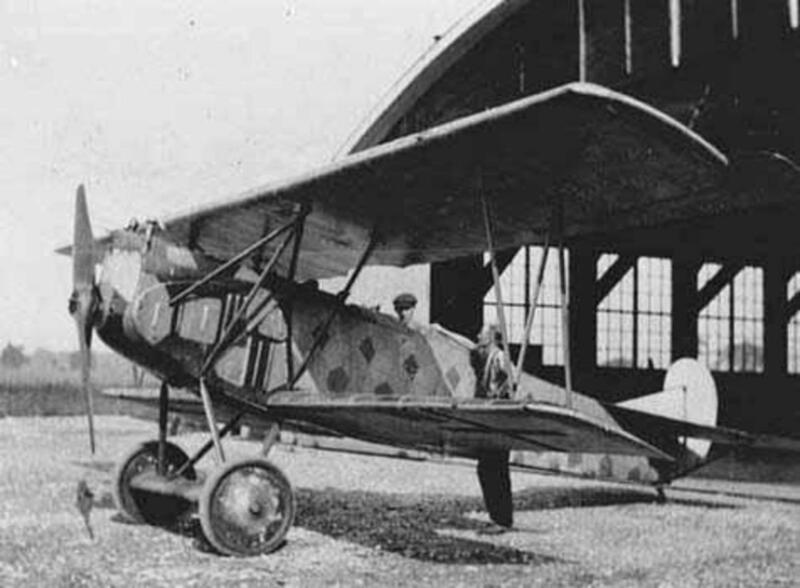 Luke, of course, immediately got into his plane, before the written orders were prepared and distributed, and took off for the area around Verdun where Major Hartley was then located. While Luke, as was his usual practice, didn’t bother filing a flight plan, he had clearly stated, during his verbal altercation with Grant, his intentions of flying to Verdun. Lt. Grant responded to Luke’s action by telephoning the unit near Verdun where Luke was headed informing them of the order to ground Luke when he arrived. That call resulted in Luke being prevented from taking off again after arriving in the Verdun area. However, when Major Hartley went to the field he gave Luke a mild lecture about the need to obey rules and then suspended the order and allowed Luke to take off on a solo balloon busting mission. Luke’s actions eventually would have forced Major Hartley or his superiors to do something about Luke as he was a wild card that would have caused problems eventually. However, Maj. Hartley had to consider that, In addition to public relations problem that would occur if the Army disciplined a hero of Luke’s status, there was also the problem of the balloons. Major Hartley had been ordered by his superiors to get rid of the balloons and Luke was doing a good job at this - and it was a dangerous job that few others wanted. After giving Luke a mild reprimand, Maj. Hartley granted Luke’s request to fly out and destroy some more balloons that evening. Second Lieutenant Frank Luke Jr. took off in his SPAD in the early evening of September 29th on what was to become his last flight. Luke soon destroyed three balloons in short order. Observers on the American lines observed and recorded his kills which brought his career total kills to eighteen. 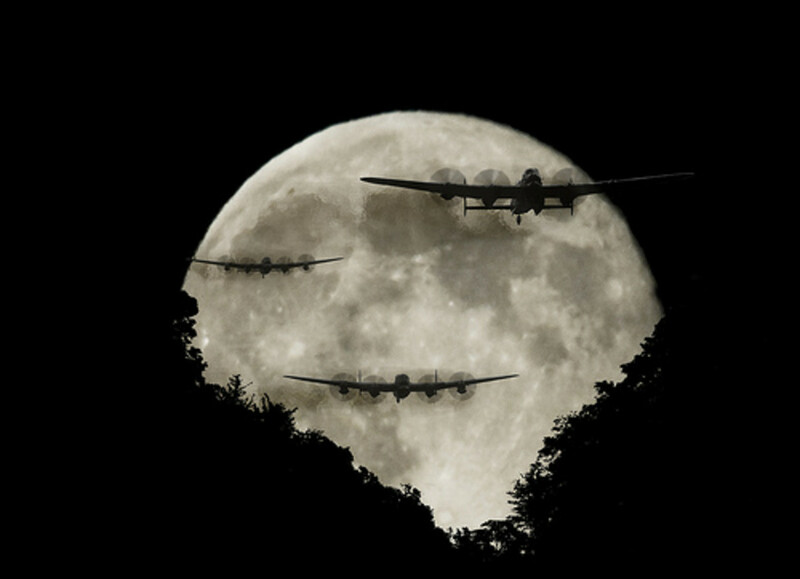 Sometime, around 7 p.m. as Luke flew low into a valley, near the German occupied French village of Murvaux. The air of which was filled with bullets and anit-aircraft shells. As Luke was heading toward the fourth balloon he intended to destroy, he was struck a single bullet from an unknown German machine gunner on a hill above where he was flying past. While he and his plane survived the hit, he was mortally wounded and knew his end was near. While still conscious, he landed his plane in the valley between the hills and attempted to make his way on foot to a nearby stream but collapsed before he reached it. Some German soldiers, who had seen him land made their way toward him and Luke apparently tried to shoot at them with the Colt revolver he, like other pilots, had been issued as a sidearm. He may have fired at the on coming German soldiers but didn’t hit them. It is not known if they returned fire, but if they did, they did not hit him as his only wound was the one he received in the air. He apparently died before the soldiers reached him. The Germans knew him by reputation and were obviously happy to have eliminated him as a threat. The soldiers took his boots, gun, personal effects and identification overlooking only his wrist watch. The Germans quickly buried him then dismantled his plane and carted it away. The war ended a little over a month later (November 11, 1918) and his body was recovered and eventually identified. French villagers who had witnessed his flight and landing were interviewed by representatives of the U.S. Army who, unfortunately, did not speak French and this led to some confusing reports about Luke’s encounter with the German soldiers during the last minutes of his life. Frank Luke’s body was transferred from its original shallow grave in village of Murvaux to the American Meuse-Argonne Cemetery ten miles away where he was laid to rest amongst the largest number of American military dead in Europe. At the time of his death, Frank Luke Jr. held the record as the American Ace with the highest number of kills, eighteen, as of that date. Luke’s record was later surpassed by Captain Eddie Rickenbacker who was credited with 26 kills. While there are five other American World War I Aces who had more kills than Luke (but less than Rickenbacker), Frank Luke Jr. is still considered America’s number two Ace as the other five flew and earned their Ace status in Britain’s Royal Air Force (RAF) while Rickenbacker and Luke earned their Ace status flying in the U.S. Army Air Service. Frank Luke, who was promoted from Second Lieutenant to First Lieutenant after his death, was also the first aviator to be awarded the Congressional Medal of Honor. Earning his Triple Ace Plus status in the short space of eighteen days was a spectacular achievement that has probably not been duplicated by any other aces. Even more spectacular is that within those eighteen days that he destroyed the eighteen planes and balloons while only flying a total ten sorties on eight different days! No other flyer in World War I, or probably any war since, has downed so many enemy aircraft with that few sorties in such a short time. As Memorial Day approaches it is a good time to pause and remember Lt. Frank Luke Jr. and all of the other less publicized Americans who gave their lives fighting for our freedom. Issoudun, France where Frank Luke Attended advanced flight training before going to the front. Verdun, France where Frank Luke departed from on his last sortie. Murvaux, France where Frank Luke died. Hi Chuck. A first class hub. Your research and efforts are clear. He was quite a guy and no mistake. This was really interesting. I sure wouldn't want to be the guy in the observation balloon. This was a well written and interesting piece of WW1 aviation history. I usually don't like reading war accounts, but you brought unusual facts to light and highlighted his contradictory career. Enjoyed this, thank you. Cardisa, incomeguru - thanks to both of you for your comments. Cardisa, I agree this would be great but Frank Luke's life as a hero was so short and he was so focused on his job that I doubt he and the public would have had time (although his exploits were being reported on the front pages of newspapers) to be acknowledged as a hero. And there were some heroes, like Luke's fellow pilot Captain Eddie Rickenbacker, who was America's top Ace of World War I having been credited with destroying 26 planes and balloons. Rickenbacker survived the went on to become a world champion race car driver and President of the, now defunct, Eastern Airlines among other things. 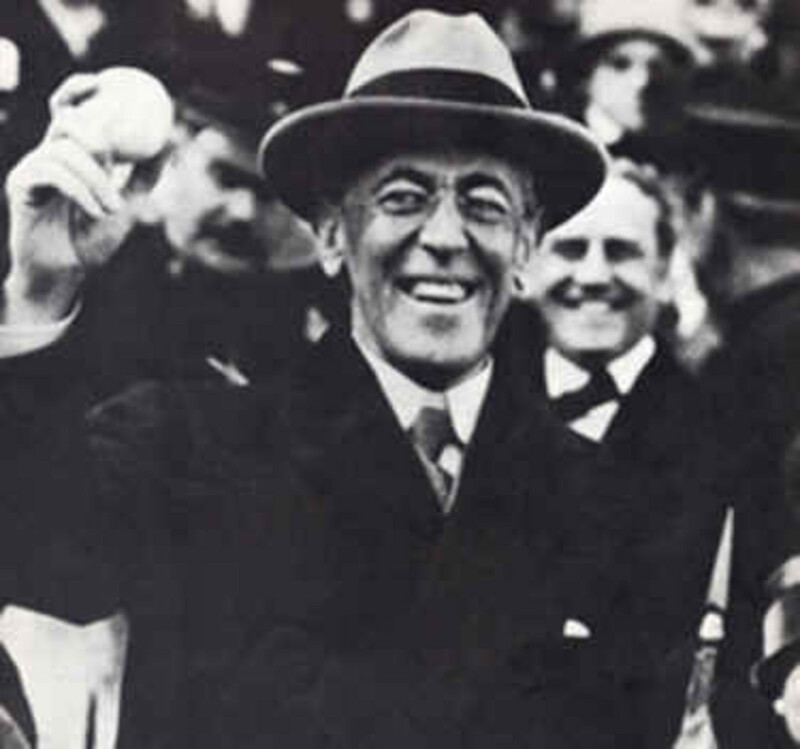 Rickenbacker lived a long life and enjoyed hero status for all of his accomplishments. Absolutely beautiful review, you're a man of history to reckon with. Thanks for entertaining us with your hub. Voted up. This is an interesting piece of history. My problem is heroes should be promoted before they die so they can enjoy it. Even though Luke was a bit disobedient he stilled served his country well.